Comments: ALTERNATE EDITION: . !Instructor Edition!%. ... *Used stickers on cover and spine. * Speedy service! Choose EXPEDITED for fastest shipping! Comments: Has used stickers on cover. Proven Seller with Excellent Customer Service. Choose EXPEDITED shipping and get it FAST! 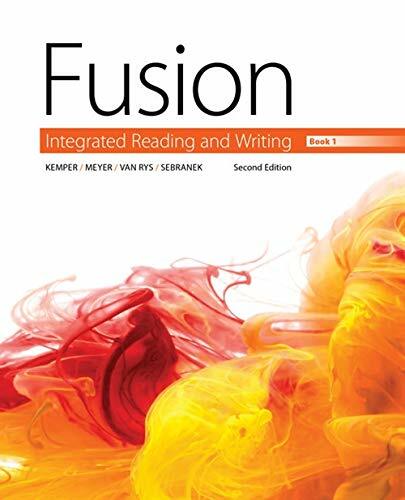 Patrick Sebranek is the author of 'Fusion: Integrated Reading and Writing, Book 1', published 2015 under ISBN 9781305103733 and ISBN 1305103734. Loading marketplace prices 67 copies from $3.76 How does the rental process work?